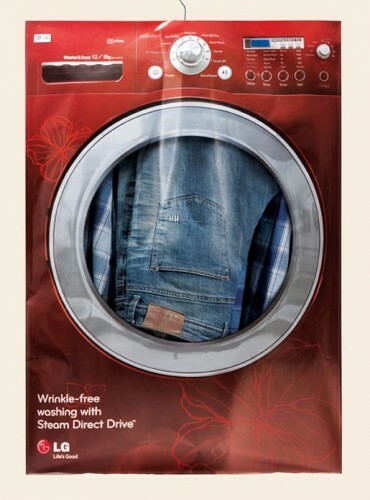 LG recently ran an ambient campaign in Dubai to communicate the LG Steam Direct Drive Washing Machine’s wrinkle-free washing promise. Y&R Dubai provided neighbourhood laundries with LG-branded laundry bags to deliver their ironed clothes in. The bag became a piece of ambient media on the streets, in apartment buildings, a walking billboard and transit media in delivery van windows. The Laundry Bag Takeover campaign was developed at Y&R Dubai by chief creative officer Shahir Zag, creative directors Shahir Zag and Husen Baba, associate creative director/copywriter Ash Chagla, art director Husen Baba, account director Uday Desai, account manager George Ninan and planner Nadine Ghossoub.